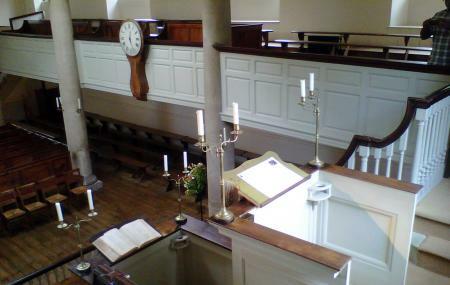 New Room Chapel is the first Methodist chapel in the world and holds great historic importance in the city of Bristol. The place was built in 1739 by John Wesley and is a marvel off Architecture and design. The place has gained popularity due to its history and beautiful interiors. Visit this beautiful place in Bristol and experience spirituality and devotion and experience Bristol in its best form. Buses from Union Street (Si) can be taken to the place. Trains can be taken from Avis Bristol Temple Meads Train Station. How popular is New Room Chapel? People normally club together Bristol Zoo Gardens and The Red Lodge Museum while planning their visit to New Room Chapel. Fab visit as always. Such a welcoming place, and very easy to take children. Lovely and friendly cafe. Thanks! Fantastic visit! Lovely, helpful staff and a beautiful building. The museum is outstanding with lots of information clearly laid out. Thank you very much! Awarded best small attraction in the area and bronze for best South West attraction. Multi award winning cafe - food and coffee all made with local organic fairtrade ingredients. Chapel is an oasis of tranquillity in the midst of the busy Broadmead area and the museum is brilliant, very hands on for kids and interesting for adults too. Ticket for museum is valid for 12 months. Excellent!! The worlds first Methodist church. John Wesley was an English cleric and theologian who, with his brother Charles and fellow cleric George Whitefield, founded Methodism. Educated at Charterhouse School and Christ Church, Oxford, Wesley was elected a fellow of Lincoln College, Oxford in 1726 and ordained as an Anglican priest two years later. He rejected the established church..and preached wherever he could..